Hello! My name is Angelo Fresti and I am a graphic designer from Italy. 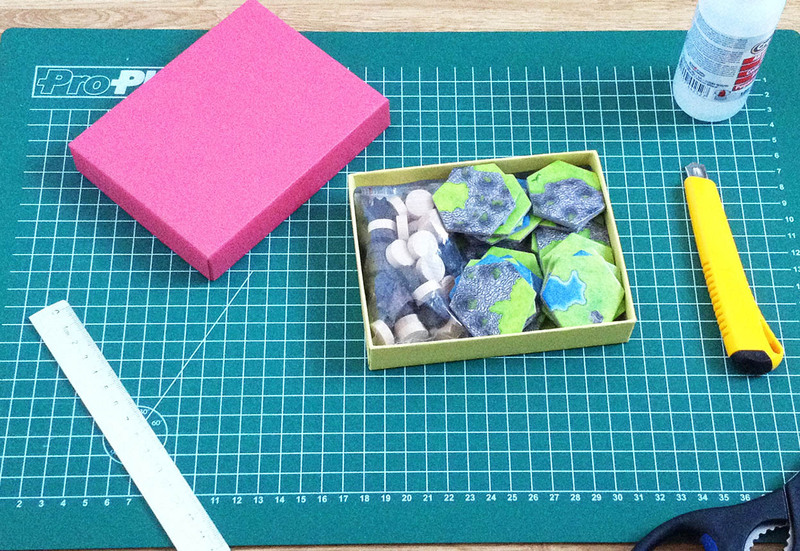 In my spare time I design board and card games and I often make the boxes for my prototypes myself. 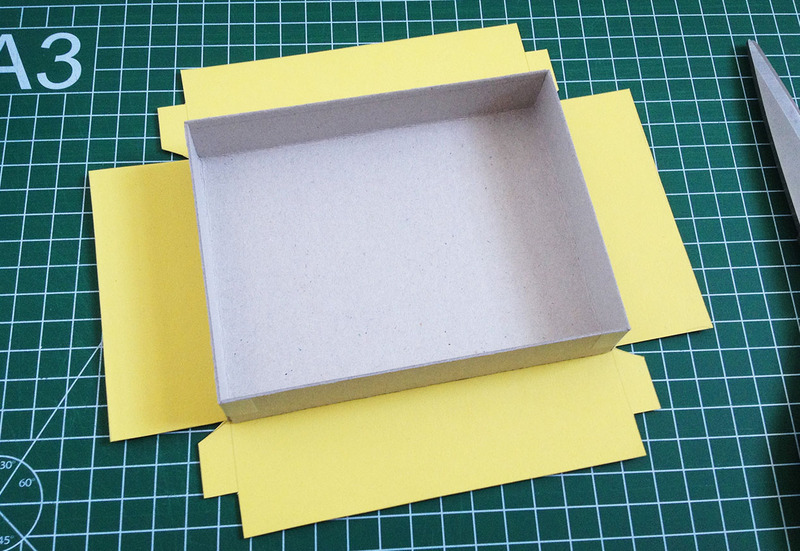 Today I would like to share my knowledge about how to make a custom made classic boardgame box, better known as ‘rigid box’ or ‘set-up box’. 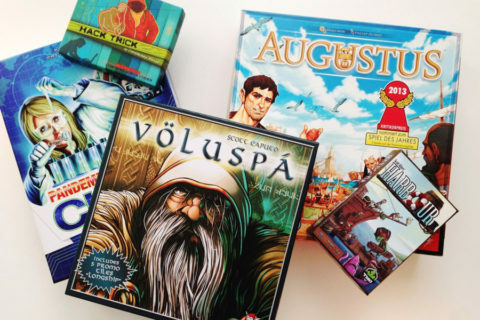 Those kinds of tabletop boxes provide a durable and elegant packaging for any type of board game, card game and puzzles. 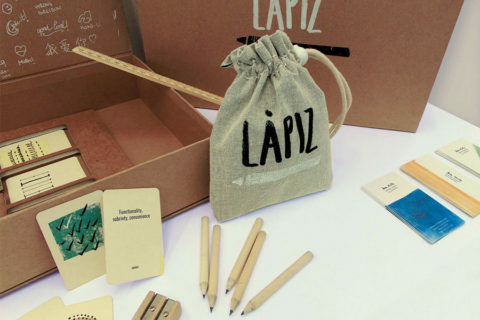 You can make your own board game box even more exclusive by using luxurious printing techniques like a ‘linen finish’ or a ‘relief embossing’. 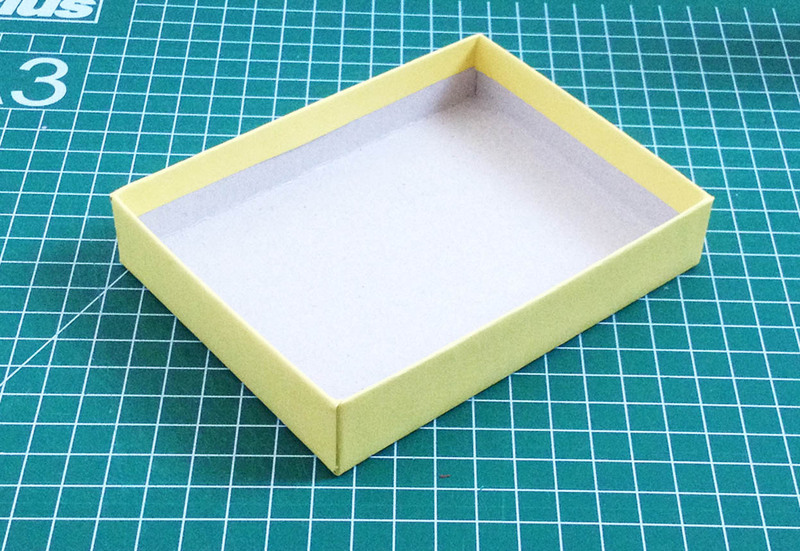 In this tutorial I’m going to focus on a little box for card games or small board game prototypes, but by enlarging the proportions you can use this tutorial for any type of box size. 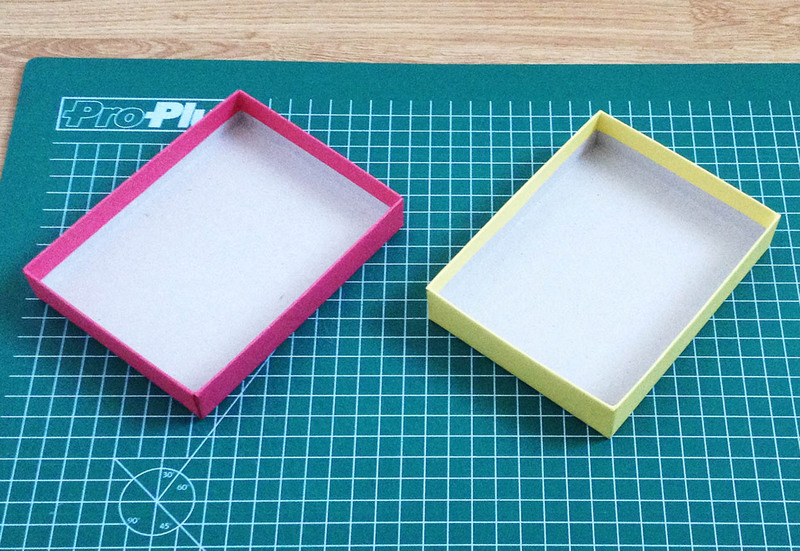 For the cardboard base you need to find (or make) a template with the dimensions as desired. 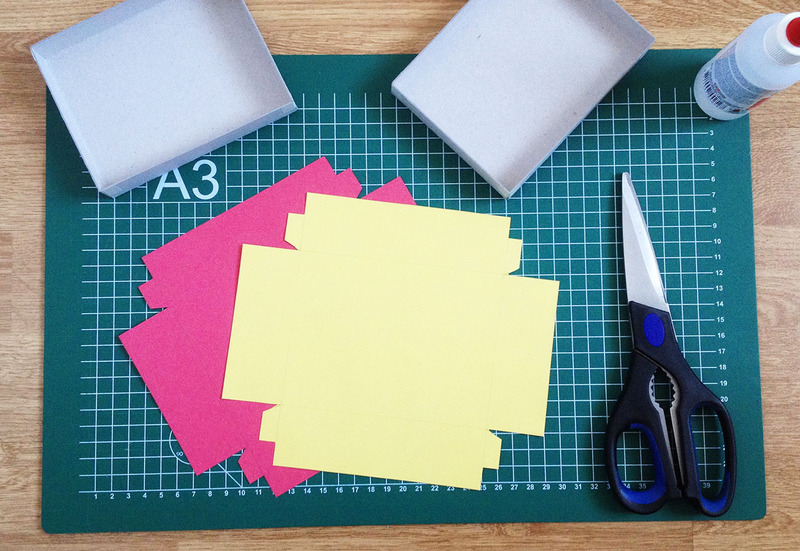 On sites such as The Game Crafter you can download free templates for different kinds of boxes. 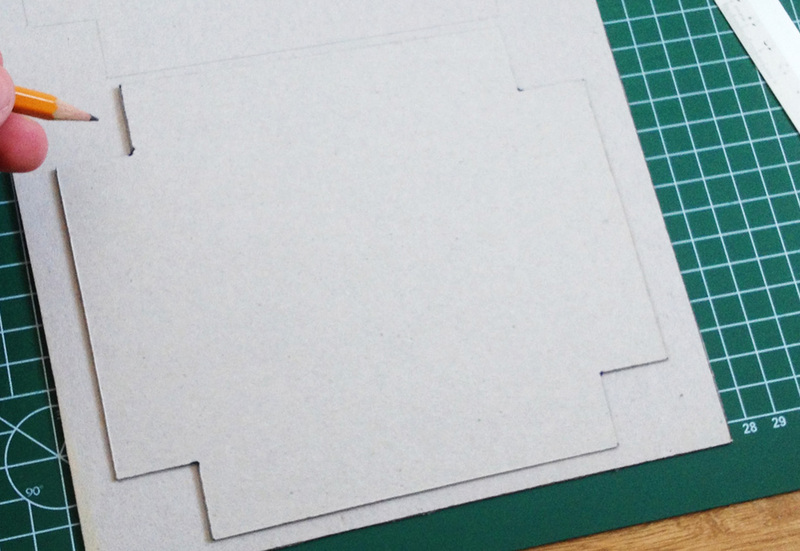 I always make a stencil when I have to make several boxes for my prototypes. 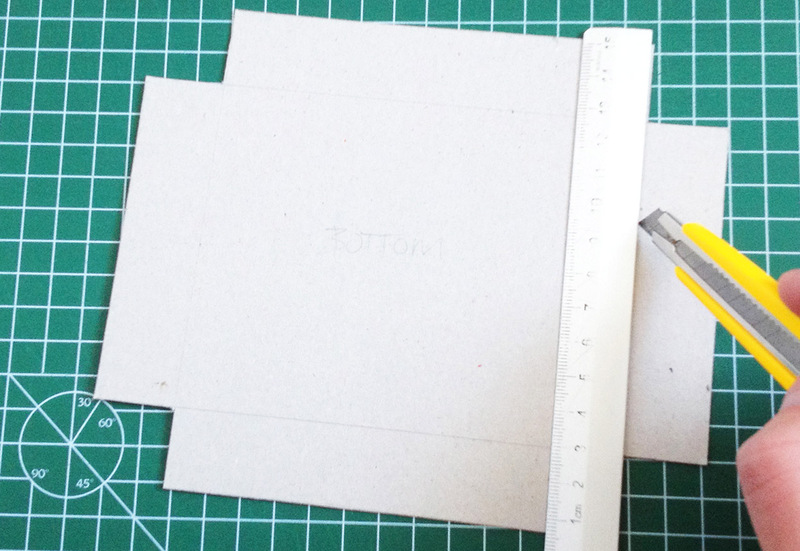 By tracing the outlines of the stencil you can quickly make some top and bottom parts for the cardboard base. 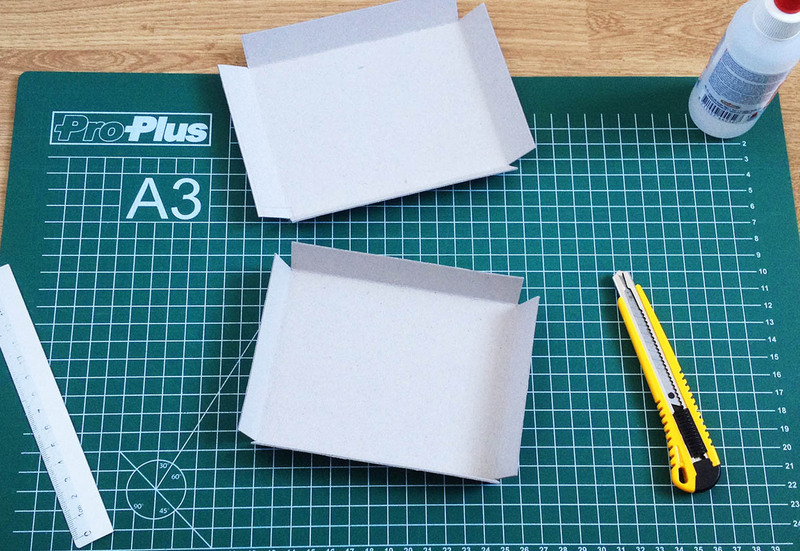 Cut out both parts of the cardboard base with scissors. 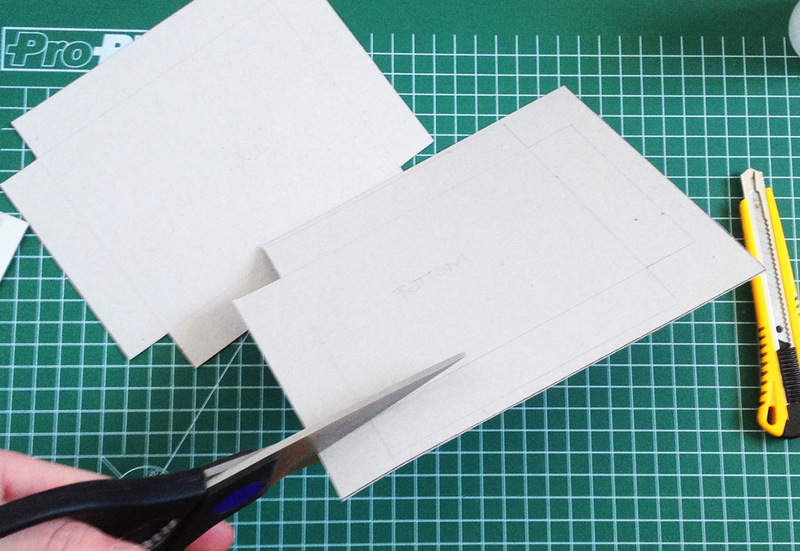 By using a steel ruler you can carefully trace the folding lines with a utility knife to slightly cut them. Do not press too hard otherwise you will cut through the cardboard. After you’ve slightly incised all folding lines you can fold the protruding sides inwards, with the incisions pointing outwards. 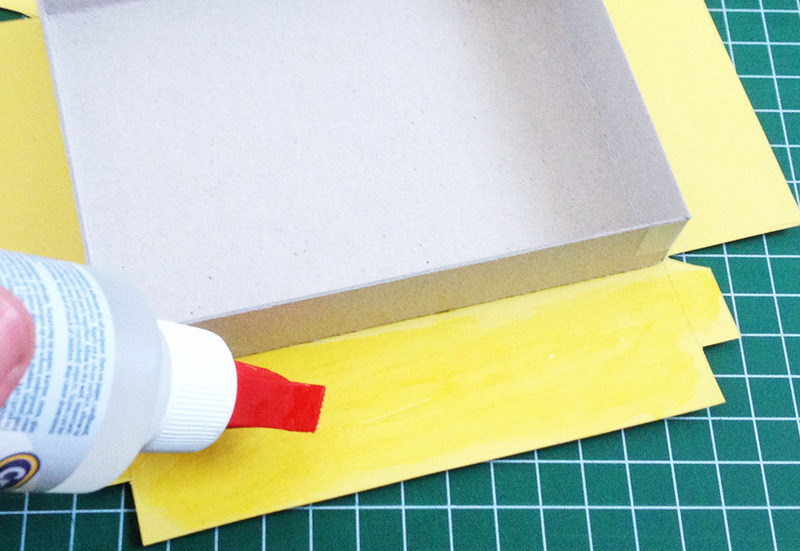 Use some pieces of painter’s tape to hold the corners of the box halves together. 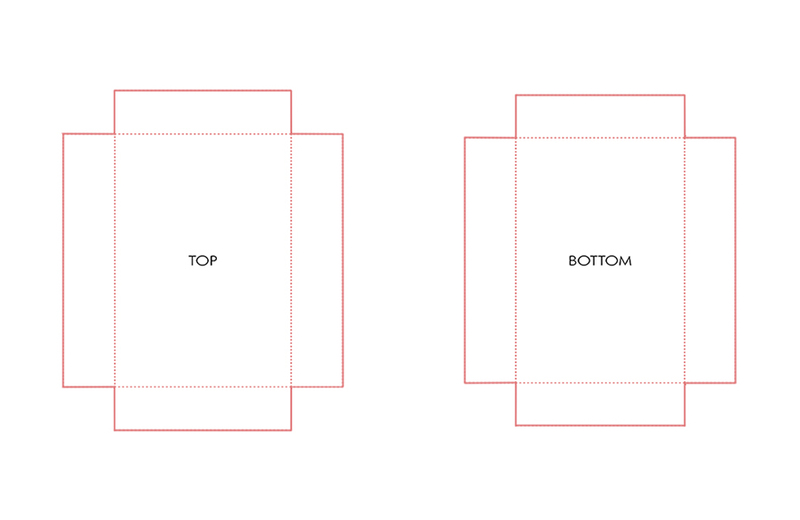 You can use a template to design your artwork in graphic software like Photoshop or Illustrator. 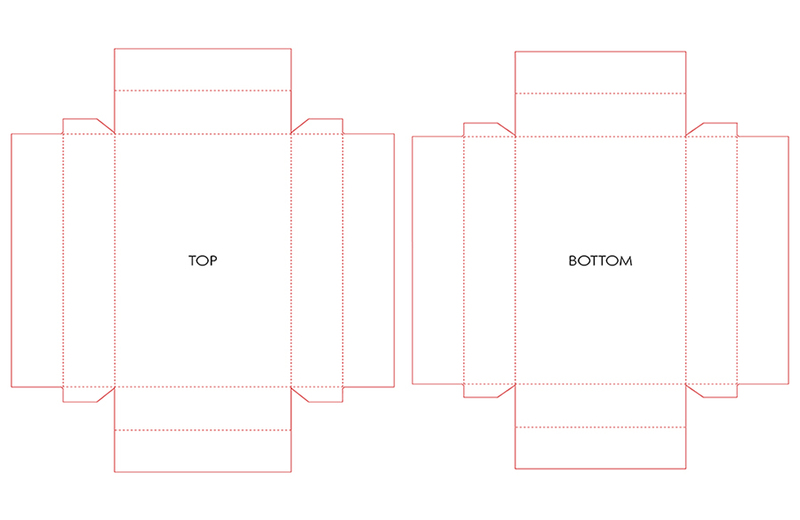 I always use InDesign to make the artwork fit properly on all sides of the box. 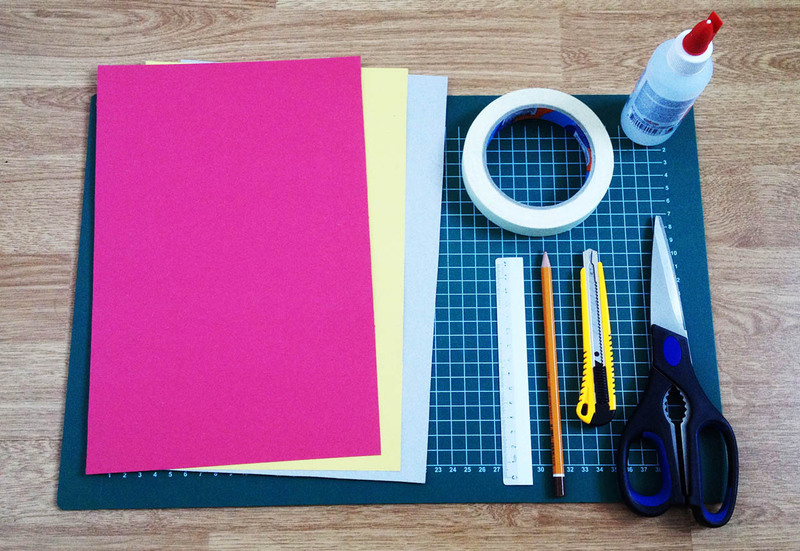 When I’m making my prototypes to send across the globe to publishers I print my artwork on high quality poster paper. 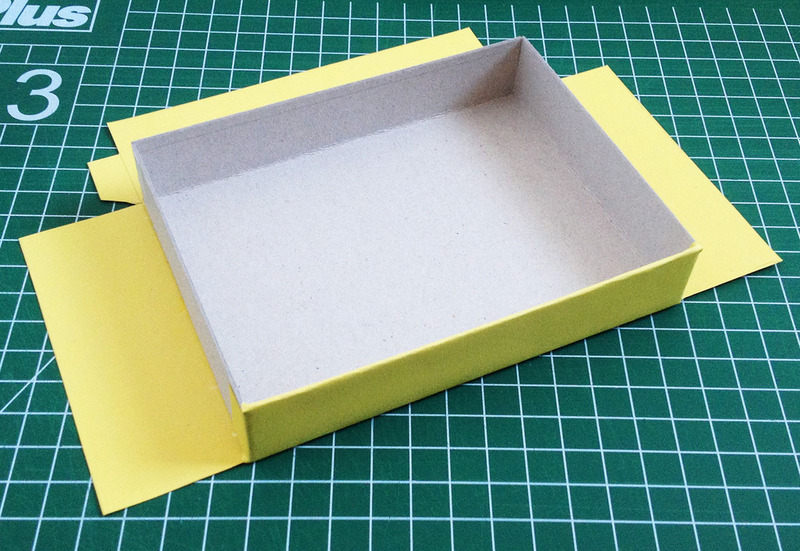 For this tutorial I’m using colored paper to differentiate the top and bottom part of the box. Now its time to glue the artwork on the cardboard base! 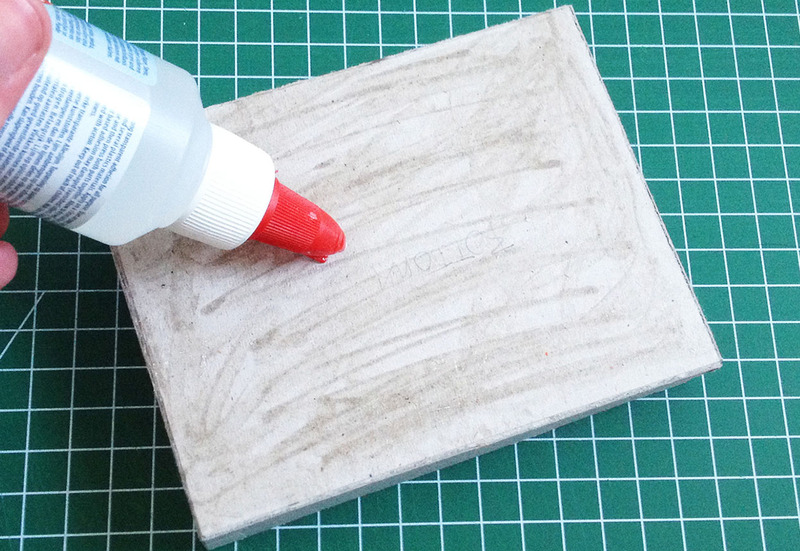 First start with the bottom and gradually spread the glue over the entire surface. 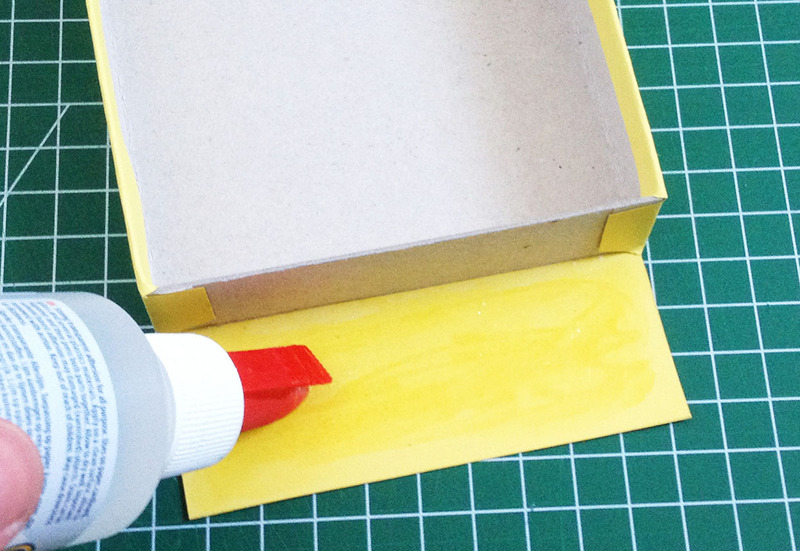 Press the glued surface against the inside of the artwork and align it properly. First spread some glue on the largest protruding part of the artwork. 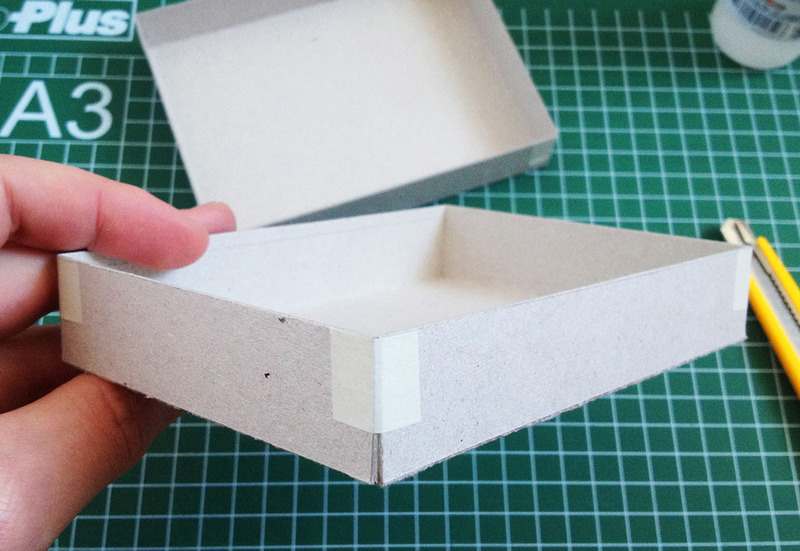 Fold it around the edge of the cardboard base. Repeat previous steps for the other side. Now glue the remaining parts of the artwork. 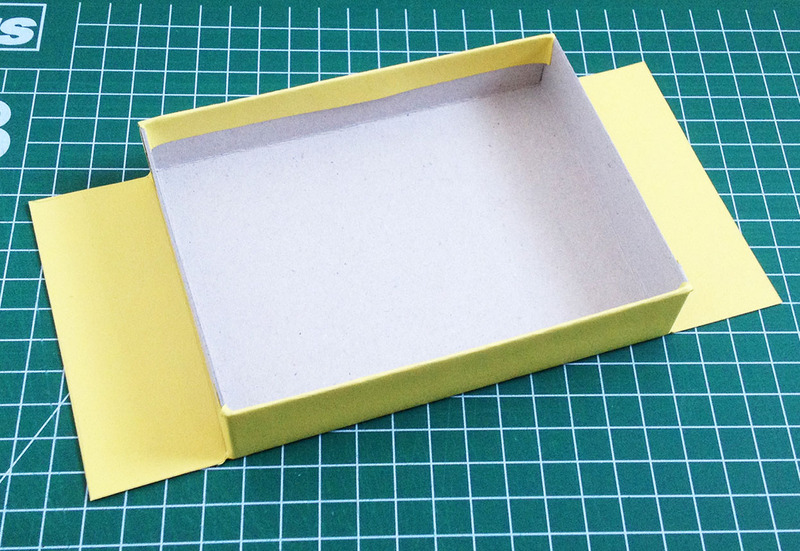 And fold both parts around the edge of the cardboard base. 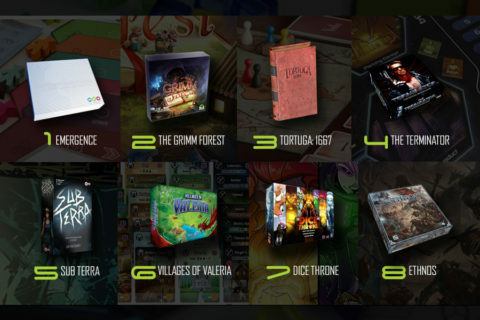 Repeat all previous steps for the top part of the box and you’ve got your classic board game box! 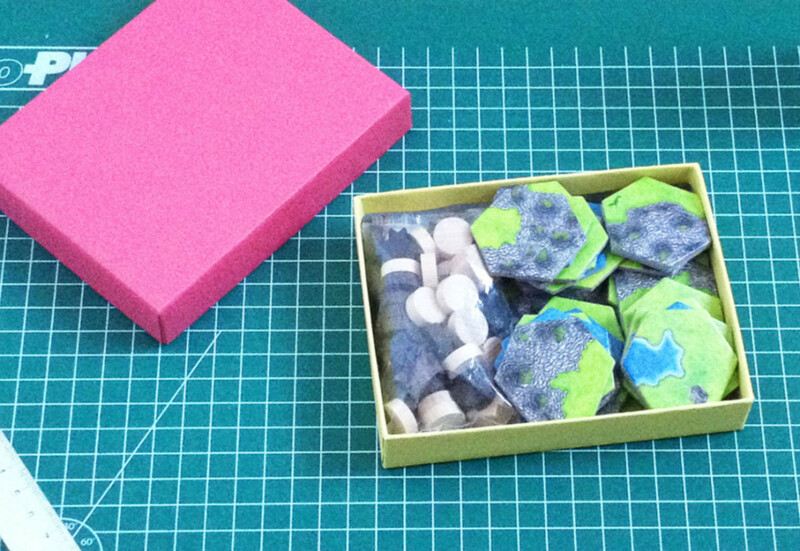 I used the box I made in this tutorial for the game Fjords . Now it fits in my pocket! Thanks Angelo for submitting this great tutorial!